May 20th this year marks the 90th anniversary of Charles Lindbergh’s non-stop transatlantic flight from New York to Paris in the Spirit of St Louis. On a May evening 90 years ago, Paris recorded the largest traffic jam in its history, all caused by a 25-year-old who had arrived at Le Bourget aerodrome by plane. Two other features of the modern world touched down with him that night: international aviation and global celebrity. The young pilot was Charles Lindbergh, a vaguely remembered name today, but an instant universal celebrity from the moment his aircraft’s wheels touched French soil. On his return to America, there were 500,000 letters and 75,000 telegrams waiting for him. Notwithstanding Henry Ford’s dictum that ‘history is bunk’, there is still much to learn about pilots, aircraft and their foibles, such as weight and balance, flying in IMC without instruments, fatigue management, drinking while flying, disorientation, time pressure—and, ahem, letting passengers fly the aircraft. Lindberg was not the first to cross the Atlantic by aircraft, far from it. The first non-stop transatlantic crossing had been by Britons John Alcock and Arthur Whitten Brown in 1919. Using a modified WW1 Vickers Vimy bomber, they departed on 14 June 1919 from Newfoundland, on the eastern tip of Canada carrying about 3900 litres of fuel. They flew for nearly 16 hours, at an average speed of about 100 knots. They encountered thick fog, out of which they fell in a spiral dive, before recovering visual reference perilously close to the sea, a result of a broken trim control and icing from a snowstorm. Their electrically heated flying suits failed but coffee spiked with whisky kept them warm and somewhat alert. After arriving over Ireland, Alcock and Brown attempted what might today be called a precautionary landing, not wanting to take any more chances in cloud, during the final miles to their planned destination, London. They nearly pulled it off but what appeared to be a green field was an axle-swallowing bog in County Galway, Ireland. In 1919, a New York hotel owner Raymond Orteig offered a $US25,000 prize, for the first non-stop flight between New York and his hometown, Paris, in either direction. Journalist John Lardner later described the offer as ‘homicidal in effect, if not in spirit’, and in the greed for speed generated by the Orteig prize, six died and three were injured before Lindbergh’s successful crossing. By 1927, three groups in the US and one in Europe had made or were preparing attempts on the Orteig prize. On 21 September 1926, French flying ace Rene Fonck crashed on take-off in a modified three-engine aeroplane built by Russian émigré Igor Sikorsky. The plane was 1800 kg over weight and while Fonck and his co-pilot survived, the radio operator and mechanic were killed. Polar explorer Robert Byrd commissioned Anthony Fokker to build a trimotor version of the single-engine F VIIA transport aircraft named America. It crashed during a test flight on 8 April 1927, injuring the crew. America subsequently crossed the Atlantic five weeks after Lindbergh’s flight, but was ditched off the Normandy Coast on 1 July 1927 after fog prevented it landing in Paris. The Wright-Bellanca WB-2 monoplane Columbia, with a crew of two, attempted an endurance record over New York in April 1927, staying aloft for more than 51 hours. It is estimated to have covered a greater distance than that required to win the Orteig prize. However, internal disputes and legal action prevented an attempt on the Orteig prize. There was, however, another transatlantic prize on offer—$US15,000 from the Brooklyn Chamber of Commerce. On June 4 1927 the Columbia took off from New York bound for Berlin. Columbia investor and armaments millionaire, Charles Levine, became the first passenger to cross the Atlantic in an aircraft, and Columbia the third plane to fly non-stop across the Atlantic. It was an eventful trip. Levine was reported to have been at the controls at 20,000 feet without oxygen when Columbia entered a spin, recovering at 4000 feet. The aircraft landed in a field at Eiselben, Germany, about 160 km short of its destination. The flight covered about 6300 km in 42 hours and 45 minutes, making it more than 9 hours longer than Lindbergh’s. US Navy pilots Stanton Wooster and Noel Davis died when their heavily loaded Keystone Pathfinder biplane American Legion (a civil transport version of a bomber) crashed after take-off at Langley Field, Virginia on a test flight on 26 April 1927, a week before their planned attempt on the Orteig prize. Davis is reported to have tried to turn the aircraft around to avoid trees, and the aircraft ended up in a bog. Charles Nungesser and François Coli in L’Oiseau Blanc (the white bird) took off from Paris on 8 April 1927—a more challenging task, given that they were flying against the prevailing winds. Its fate remains a mystery. The aircraft was last seen crossing the French coast at Étretat, though there is some suggestion that the aircraft was seen by witnesses in Newfoundland and crashed in Maine. Lindbergh’s rivals for the Orteig prize planned to use multi-crewed, most of them multi-engined planes. Lindbergh took a different approach, determined to fly alone in a single-engine aircraft. After abortive attempts to buy aircraft, including a Bellanca which eventually crossed the Atlantic in June 1927, Lindbergh, armed with a $US15,000 loan from St Louis banks, signed an agreement with the Ryan Aircraft Company of San Diego to purpose build a single-engine aircraft based on a Ryan M-2 design. The need to build the aircraft quickly meant trade offs. There were essential modifications to allow carriage of sufficient fuel and thus a longer wingspan for the additional lift required. However, there was no time for a redesign of the empennage or wing control surfaces, resulting in a negatively stable aircraft. This made the Spirit of St Louis prone to pitching, rolling and yawing. The aircraft was not built for comfort—in fact, the opposite was true. Lindbergh wrote that its random movements helped keep him awake. His wicker seat was said to have been deliberately uncomfortable, and as a further deterrent to sleep, Lindbergh flew with both windows open. He was, by all accounts, obsessed with keeping weight to a minimum, so he had no radio (the weight and unreliability of early radios made this a more defensible decision than it would be today), and he is even reported to have cut the top and bottom off his flight map to save weight. The afternoon before his flight a friend of Lindbergh’s travelled from New York City to inspect his aircraft at Roosevelt Field Long Island (an airport since replaced by a shopping mall). He was Jerry Lederer (1902–2004), later to be the founder of the Flight Safety Foundation and already an authority in the nascent field of aviation safety. ‘I did not have too much hope that he would make it,’ Lederer wrote years later. Having not slept since about 9 am the previous day, Lindbergh took off at 7:52 am on 20 May 1927 from a muddy Roosevelt Field, Long Island, New York, with 450 gallons (about 1760 litres) of fuel. Paris was about 5800 km or 3130 nm away. The Spirit of St Louis’ maximum take-off weight was 2330 kg, and Lindbergh cleared telephone lines at the edge of the field by 20 feet. The Spirit of St Louis had no front window because the main fuel tank was at the front of the plane, with the oil tank acting as a firewall. It was later discovered that the main oil reservoir had leaked during the flight. 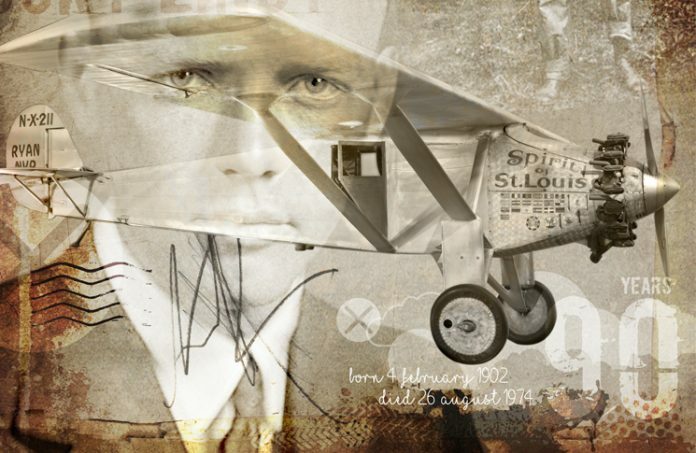 Apparently, the lack of forward vision wasn’t a big deal for Lindbergh because as a mail pilot he had been used to having his view obscured by mailbags—so he’d just yaw the aircraft if he needed to look forward. The Spirit of St Louis did have a periscope, but there are differing accounts as to whether Lindbergh used it. He reported starting to feel tired three hours into the flight, and after eight hours, still over land, was struggling to stay awake. Like Alcock and Brown, whose exploits he later acknowledged, he faced icing after flying into towering cloud, skimmed storm clouds at 10,000 ft at night, and flew as low as 10 ft off the Irish coast. Temporarily revived by the daylight after 19 hours of flying, he soon drifted back into drowsiness, hallucinating and falling asleep for brief periods while flying in and above fog. After 27 hours and unsuccessful attempts to ask directions from fishing boats, Lindbergh spotted land, and identified that he was only three miles off course and 2½ hours ahead of schedule. Lindbergh followed the Seine river to Paris, but had difficulty spotting the airport, finally landing at Le Bourget at 10:22 pm on 21 May. His flight time was 33½ hours, and he had used more than 80 per cent of his fuel (about 330 litres remained), with an average fuel consumption of 42.6 litres/hour, or 11.8 gallons/hour. In 2015, more than 40 million people crossed the Atlantic by air, most of them watching movies, listening to music, or judgementally eating their in-flight meals. We remember Henry Ford’s ‘history is bunk’ pronouncement, but the rest of his quote is worth noting. ‘What difference does it make how many times the Greeks flew their kites?’ he said. (New York Times, 28 October 1921). There is no historical evidence that the ancient Greeks ever flew kites. It shows just how little Ford knew about flying—or human nature. But lessons from the Orteig scramble of nearly a century ago are still there, for those who wish to see them. 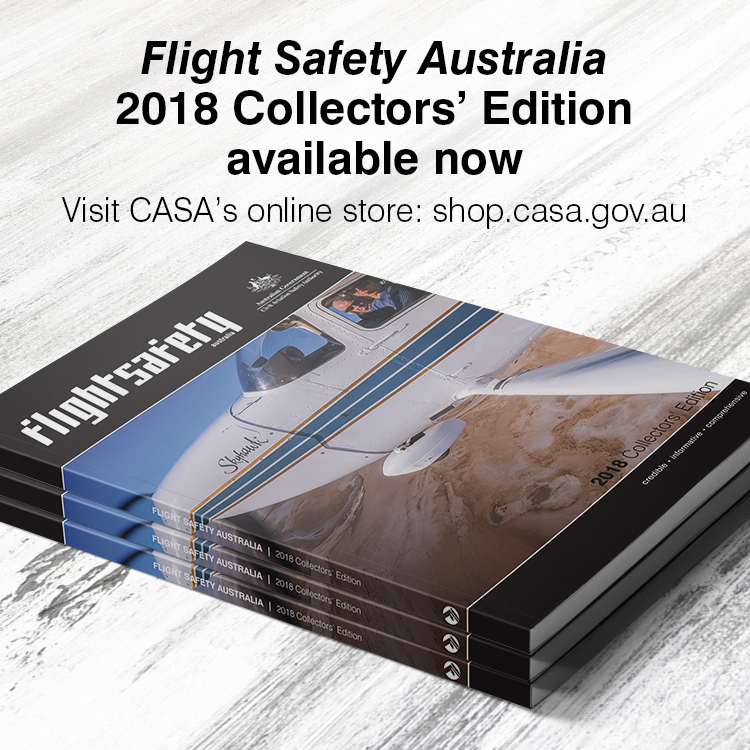 They are cautionary parables about fatigue, time pressure, weight and balance limits, flight planning, and the ever-present hazards of IMC and hypoxia. As for Lindbergh himself, only chance and the resilience of youth saved him from becoming a cautionary obscure footnote on the hazards of fatigue. Although he hated the nickname, he really was Lucky Lindy. Lucky Lindy? From an aviation perspective he certainly was extremely fortunate. Not so lucky in life however. The downside of his celebrity was that someone who wanted easy money kidnapped and murdered Lindy’s infant son. For those interested, there is an old movie of Lindy’s story called “The Spirit of St. Louis’ that starred Jimmy Stewart as Charles Lindbergh. It is fairly faithful to Lindy’s story as told in his own autobiography of the same name but well worth a look. Check it out. Not only lucky, he was well prepared. Check out his graphs and calculations in the appendices of his book “We”. His decision to use an earth inductor compass contributed to his accurate navigation. All major achievements involve some luck, but such achievers often generate their own luck with good preparation.